RE-CuP your skin's vitality with this extraordinary, natural that formula transforms your skin to visibly reduce the signs of aging. 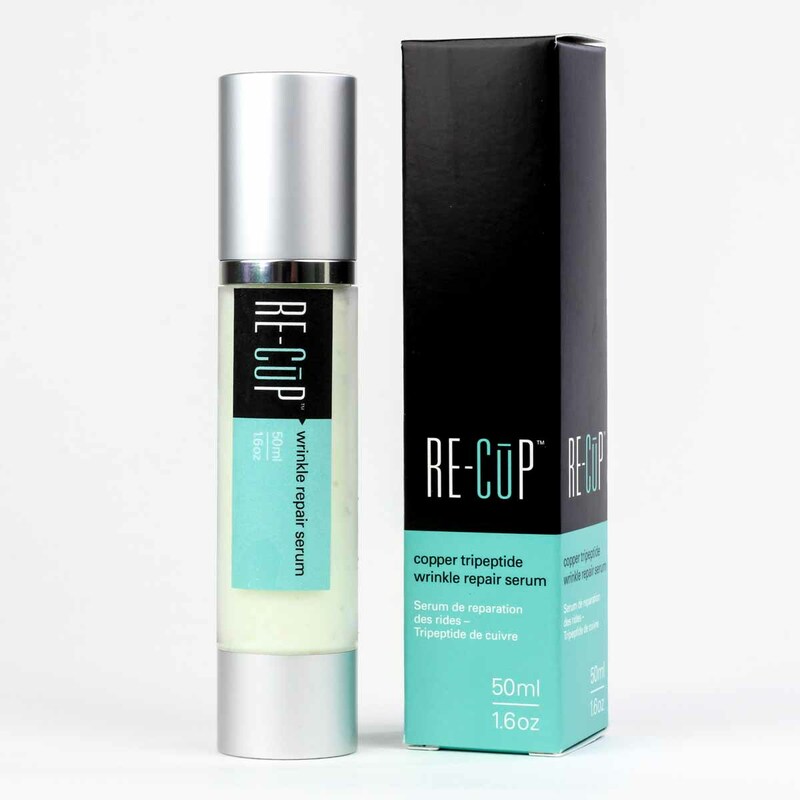 RE-CuP Wrinkle Repair Serum uses the power of copper tripeptide (GHK-Cu) and antioxidants to restore your skin's ideal biochemical balance and recoup its youthful vitality. Unlike most luxury skin care products, RE-CuP Wrinkle Repair Serum is formulated with natural ingredients, for your peace of mind and absolutely radiant results. In one week, skin tone and clarity improves and after several months, wrinkles are dramatically reduced, while skin lesions and scars slowly vanish. Copper tripeptide (GHK-Cu), a naturally-occurring compound and the primary active ingredient in RE-CuP Wrinkle Repair Serum, has been proven to be more powerful than Retin-A in stimulating collagen and reversing the signs of aging. Water, Aloe Barbadensis Leaf Juice, Simmondsia Chinensis (Jojoba) Seed Oil, Emulsifying Wax NF, Stearic Acid, Leucidal Liquid SF Complete (Fermented Radish Root), Copper Tripeptide (GHK-Cu), and Jasminum Officinale (Jasmine) Extract.r, Aloe Barbadensis Leaf Juice, Simmondsia Chinensis (Jojoba) Seed Oil, Emulsifying Wax NF, Stearic Acid, Leucidal Liquid SF Complete (fermented radish root), Copper Tripeptide (GHK-Cu), and Jasminum Officinale (Jasmine) Extract. Apply one pump of RE-CuP Wrinkle Repair Serum to your freshly cleansed face in the morning and in the evening. Smooth onto your face and neck. When using around delicate areas, like under-eyes, use your ring finger to gently pat serum onto skin.